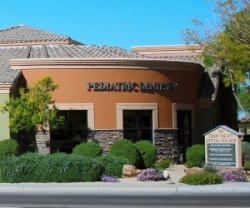 Tempe, AZ, March 18, 2019 --(PR.com)-- Menlo Group Commercial Real Estate has successfully negotiated the purchase of the Deer Valley Dental Village. The dental office complex, which is located at 7505 W. Deer Valley Rd. in Peoria, Ariz., was purchased for $5,625,000. Menlo Group Commercial Real Estate is a full-service commercial real estate brokerage in Tempe, Ariz. Over the past 10 years, Menlo Group has become a leader in the Valley’s dental real estate market. The company’s team of dental advisors specializes in tenant and buyer representation. To learn more visit, www.menlocre.com/dental.